Acupuncture originated in China more than 2,500 years ago. Throughout history, more people have been successfully treated with acupuncture than with all other health methods combined. Today acupuncture is practiced widely in Asia, the Soviet Union, Europe, and is gaining popularity in the USA. 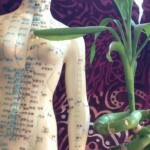 Acupuncture is a healing method that focuses on healing the body as a whole; body, mind and spirit. The tradition of acupuncture theory believes that energy flows within the human body and this energy can be channelized to create balance and health. This energy flow is called qi (like in Tai qi), and it moves throughout the body along 14 main channels known as meridians. These meridians do not follow pathways of nerves or blood vessels, and do not correspond with any particular anatomical structure. Stimulation of points along the meridians restores balance and aims to maximize health, prevent illness and treat disease. Although acupuncture is mostly associated with insertion of needles as the means of taping into those acupuncture points, acupressure, special lasers, electrical stimulation or tuning forks can also be used. In addition techniques such as cupping and Moxibustion are occasionally chosen to stimulate a single point or larger areas. Acupuncture is a complete medical system and can effectively treat many more conditions. To read the report on Acupuncture: Review and Analysis of Reports on Controlled Clinical Trials, click on the button below. A typical first time visit lasts 60-90 minutes were detailed patient history, as related to main complaint and general health and life style information is obtained. Information is obtained through questioning, abdominal or meridian palpation (no pelvic exam), and Chinese pulse and tongue examination. A typical follow up acupuncture treatments lasts 40-60 minutes and include signs and symptoms reassessment. Most treatments are while laying down on a treatment table either prone (face down) or supine (face up), however, it is also common to treat patients laying on the side or while seating on a chair. Occasionally a patient may be asked to stand, bend, walk or move to facilitate in the treatment. 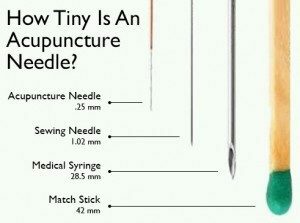 Needle retention is usually 20 minutes long, but may vary. Other modalities such as Tuina (Chinese Medical Massage), Qi gong exercise, Cupping and/or heat therapy may be integrated as needed. Acupuncture is considered a therapy which implies a course of treatments. Traditionally, one course is considered 10 consecutive treatments (daily in China), however, in the Western world and due to the current economy treatments tend to be fewer and farther in apart. The number of treatments needed differs from person to person. For complex or long-standing conditions, one or two treatments a week for several months may be recommended. For acute problems, usually fewer visits are required, and periodic visits are recommended for health maintenance. Acupuncture needles are very thin and solid and are made from surgical grade stainless steel. The point is smooth (not hollow like a hypodermic needle) which makes insertion through the skin less painful, with lower risk of bruising and skin irritation.People experience acupuncture needling differently. Different sensations are expected at various parts of the body, and can differ from visit to visit depending on the general state of the person. Most patients feel only minimal pain as the needles are inserted. Once the needles are in place, the acupuncturist will activate the point; a process known as getting “de Qi”. Sensations of heaviness, pulling, pinching or grabbing at the site are welcome and are evident that the point was successfully activated. Those sensations will subside within minutes and most patients report feeling deep relaxation or dose away into a restful sleep. Acupuncture needles come in sterile packaging of either a single needle or a pack of ten and are disposed immediately after use into a sharps container. HOME PAGE LOOP from Vidifly on Vimeo. The general theory of acupuncture is based on the premise that there are patterns of energy flow through the body that are essential for health. This Energy, also known as Qi is flowing through 14 main Meridians (channels) and the acupuncture points located along those channels act as portholes to access the Qi within. Disruptions of this flow are believed to be responsible for disease. While inserting needles at specific acupuncture points will reestablish the regular flow. Acupuncture treatments can therefore help the body’s internal organs to correct imbalances in their digestion, absorption, and energy production activities, and in the circulation of their energy through the meridians.The modern scientific explanation is that needling the acupuncture points stimulates the nervous system to release endorphins and serotonin which inhibit pain, and other chemicals which regulate endocrine function, increase circulation, and enhance immune function. This theory is supported by the basic research work which has shown acupuncture’s effect on ACTH, insulin, thyroid hormones, growth stimulating hormone, beta-endorphin, white blood cell production and plasma cholesterol levels. It is also believed that Acupuncture may work on an electromagnetic bio-information system.Acupuncture can be effective as the only treatment used, or as support adjunct to other medical treatment forms in many medical and surgical disorders. According to NIH “One of the advantages of acupuncture is that the incidence of adverse effects is substantially lower than that of many drugs or other accepted medical procedures used for the same conditions. (Acupuncture. NIH Consensus Statement 1997 Nov 3-5; 15(5):9.) Furthermore, acupuncture can help to reduce or eliminate the need for medications for many conditions including narcotics and other pain-relievers, but a board certified physicians must always be consulted in such instances. As with anything else positive thinking always enhances the outcome. However, acupuncture is not only in your mind or a placebo. Young children, babies and animals respond tremendously well to acupuncture. They do not understand it nor do they believe in it. Furthermore, acupuncture is known to “surprise” many skeptical patients with great results. ARE THERE ANY GUIDELINES FOR BEFORE AND AFTER TREATMENT? The key advice is moderation! Do not over-exercise or consume alcoholic beverages before or after the treatment. After a treatment, plan to take it easy, and drink plenty of water. This is especially important for the first few visits. Remember to keep good mental or written notes of what your response is to the treatment. This information is used by your acupuncturist to modify the follow-up treatments for best results. Recently, more and more insurance companies are starting to recognize Complementary and Alternative Medicine (CAM), and acupuncture in particular, as a viable addition to allopathic medicine. 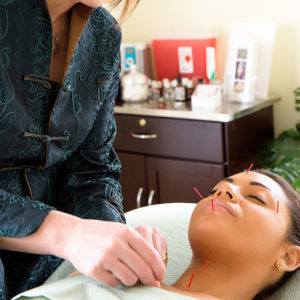 The top plans of insurances such as Cigna, Anthem BCBS, Aetna and others may cover acupuncture as part of their elite plans or their Flexible Spending Account or equivalent. Some insurances companies will require the patient to pay out of pocket and then to file a claim for full or partial reimbursements. In addition, most plans restrict the amount of visits covered per year. It is the patient’s responsibility to check with her insurance plan and to determine the extent of coverage.